Since I'm on vacation with my family for the week, it occurred to me to post about one of my favorite camera items. Ona's "The Roma" camera bag insert is perfect for the kind of trip I'm on...when it came time to load the car, we had about a million different bags. The last thing I needed was a full separate camera bag to add to the pile. This insert is roomy and sturdy enough to transport my DSLR- with an extra lens and charger- but it's compact enough to fit inside any bag I want. It's made of waxed canvas, with leather side handles, five exterior pockets, and an adjustable padded interior. But it slips inside a regular bag. On this trip, my camera came for the ride inside a beach bag, next to an extra sweatshirt, our paddle board set, and my ukulele. On other occasions, it's come in handy for air travel as well- I can house my camera inside one roomy carry on, rather than having multiple bags to keep track of. And even if a camera is the only thing I have to tote, sometimes it's just nice to carry a bag that doesn't scream "photo dork." 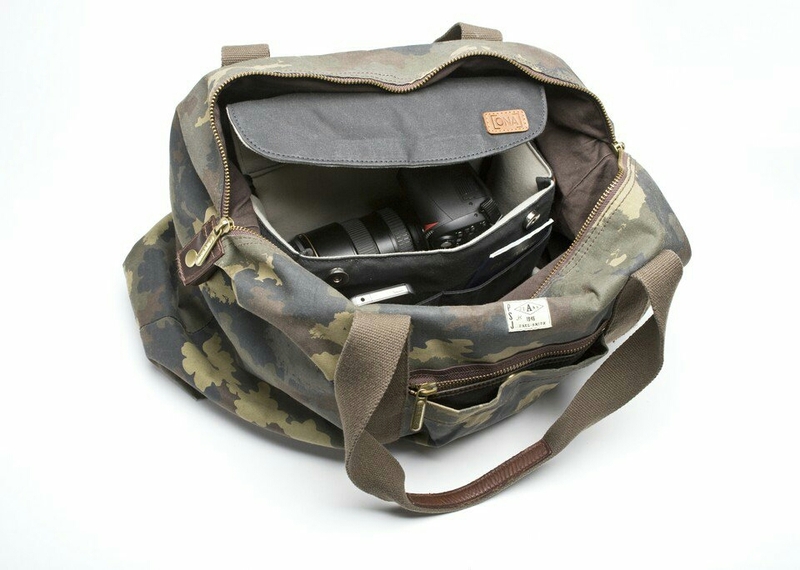 So many traditional camera bags can be bulky, dark, or masculine. That said, Ona also carries a range of bags attractive enough to carry on their own...as well as attractive accessories, like leather and canvas camera straps. You can purchase them directly from the Ona site or from B&H. Now you have to excuse for leaving your camera at home during all those upcoming summer adventures!